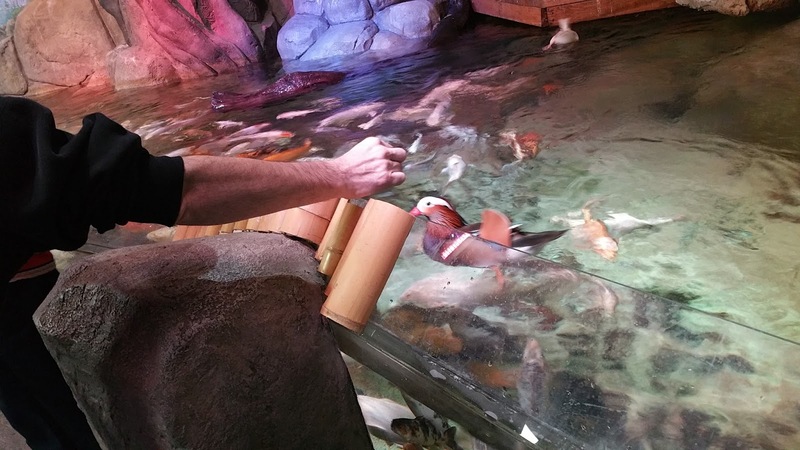 Did you know that Vegas has an interactive aquarium? I had NO idea! The SeaQuest Interactive Aquarium is located at the Boulevard Mall on Maryland Parkway. 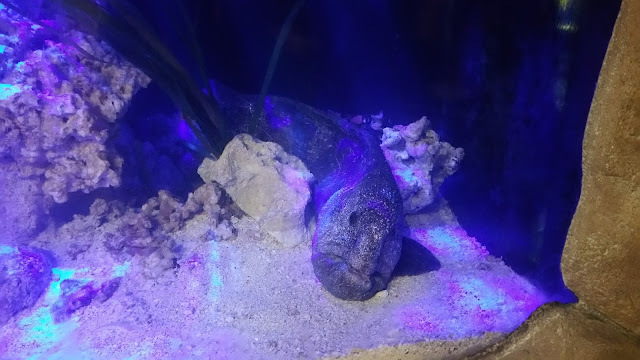 I wasn't really sure what to think about an aquarium. We have taken the kids to zoos and aquariums before and I have to say they are a bit boring. You look at the fish, shark or animal and then move along. That is not what the SeaQuest Interactive Aquarium is. In fact, we were actually there for hours. We even got splashed repeatedly by this little one. This stingray wanted our attention (or food) and wanted to make sure we saw that he/she was there. 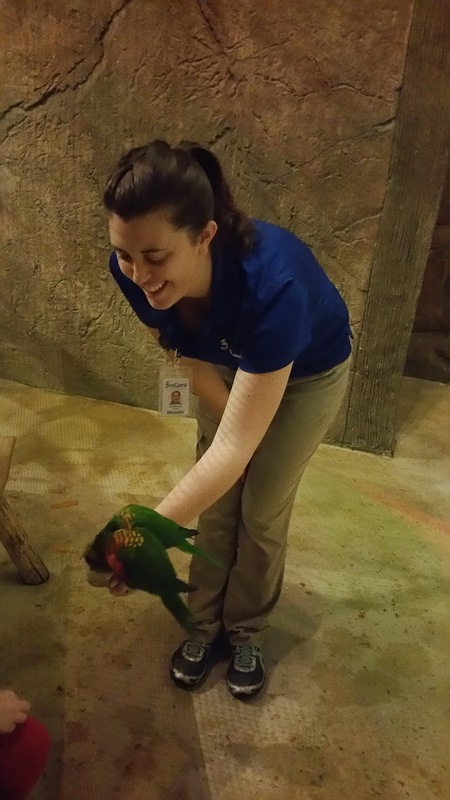 If the stingray splashes weren't enough we also got to feed the fish, feed the birds and hold a snake. Did you catch that, I said hold a snake. 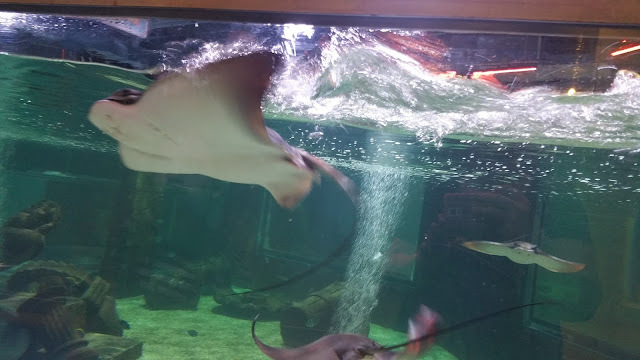 When I hear the word aquarium I was under the impression that we would only be seeing Aquatic animals: like Octopus, Sharks, Stingrays, Jellyfish, Eels, Dory, Nemo and so many more. That's not what happened. We saw so much more like Birds, Amphibians and reptiles. The first thing that we felt is that the staff really want to be there. 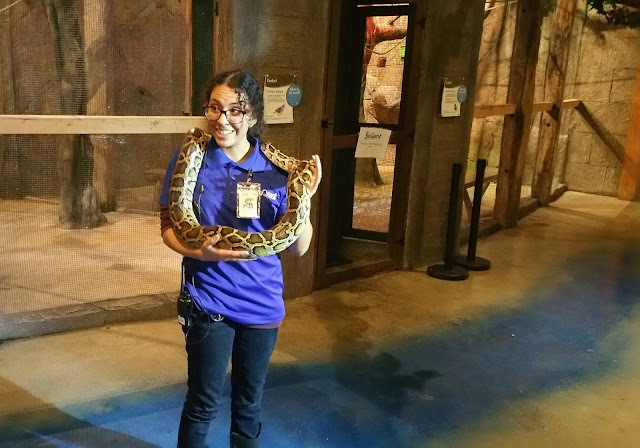 They know the animals and seem to want to teach everyone about them. They were friendly and helpful. Some of the animals you can feed for an additional charge. My husband liked feeding the Mandarin Duck by hand. I think he is crazy but the kids thought he was cool. All in all we had a great time and if you are looking for something a little different off the strip, you should give the SeaQuest Interactive Aquarium a try. Check out the SeaQuest Online Gift Packages.